After a long, long wait Bungie has finally revealed an official conceptual art of their new game, Destiny. This was in response to a leak to IGN who appeared to receive a whole lot of information about the game from someone associated with an advertising agency. Sounds like behind the scenes work to promote Bungie's first game since Halo: Reach is starting to happen. 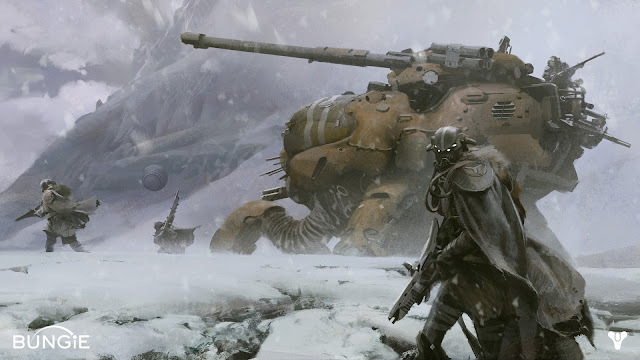 Bungie have not yet official revealed that Destiny exists but have been giving unsubtle winks all year. 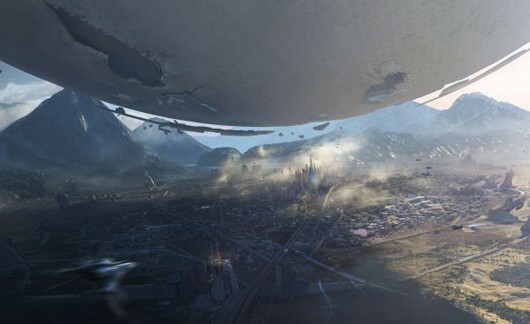 Here's some more pictures of Destiny that were released to IGN, showing some characters next to a space jet of some kind, an overrun building of some kind and some kind of satellite object hoevering over a city of some kind. Halo 4 reviewed - it's great!